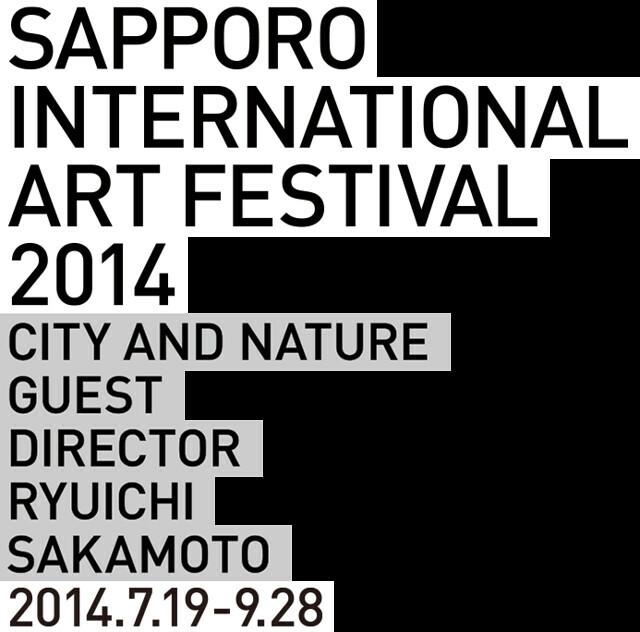 The Sapporo International Art Festival 2014 is the city’s first international arts festival. The festival is held from July 19th - Sept 28th with exhibitions, activities, performances,and site-specific installations embedded in various historical buildings, parks, museums, and underground walkways throughout the city. The festival’s theme, ‘City & Nature’, fits perfectly in Sapporo, a city surrounded by lush forests and mountains. Impossible not to feel the connection to nature despite being thoroughly modernized and Hokkaido Prefecture’s largest city, the festival brings that connection even closer not only by the work of the artists chosen, but many of the exhibitions are shown in public areas within the city. Common areas where one might walk to work, have lunch, or go shopping exhibit powerful, thought-provoking, as well as fun and engaging artworks and projects. In this way considering nature, community, lifestyle, and human role within nature is promoted in one's daily life. "Sapporo is surrounded by abundant nature but was also modernized along with the rest of Japan - this is what makes the city unique. There were lifestyles, cultures, memories, and landscapes lost in the process of modernization. After March 11th, reflecting on this past should serve as precious fodder for us to imagine a new civilization, robust and coexisting with nature. Art recalls visions of the lost past and art conjures up the future as it ought to be. I hope this art festival will sow a sense of awareness in audiences. These seeds will surely bear some fruit in the future." A special dance performance combining traditional indigenous Ainu dance with Noh, classical Japanese dance performance. Tokyu Theater Orb Friday, August 29 – Sunday, August 31, 2014.
ethnicity, language, boundaries, and more. this incredible performance is an absolute must-see!